We all feel it — traffic is getting worse and worse. Congestion times have slowly stretched beyond commute hours becoming an all-day phenomenon. Our commute gets longer and longer with every passing year. In previous articles, I discussed how long it’ll take for autonomous cars to really take over — spoiler: longer than we’d hope for— and about whether we’ll completely abandon buying cars in the future. Now, let’s move on to another part of this puzzle with the trend of growing traffic congestion, which is as persistent as as it is global. Just look at the news in any given city and you’ll see a significant portion dedicated to how to get to work and back home. People around the world now talk about which apps or maps they use to navigate given their accuracy in noting traffic and bypassing standstills. As cities get more densely populated, congestion has naturally risen. 2007 was the first year when more than 50% of humanity lived in cities. It’s been projected that by 2050, 66% of humanity will live in cities. This trend, if left unchecked, will increase the strain on the transportation infrastructure and even more dramatically increase the traffic we’re experiencing today. So within the conversation around autonomous driving, we might consider whether autonomous vehicles (AVs) will reduce or contribute to this congestion? The common thought is that AVs will dramatically reduce congestion, making life bearable again. However, there are strong points supporting AVs likely contributing to increasing congestion. Let’s review some of the key arguments. As people become less sensitive to commute times with the growth in AVs, the commuting radius of any city will undoubtedly grow. This will subsequently increase the number of people finding jobs in city centers and commuting every day. The influx of AVs will have to use the roads as parking spaces, where parking is currently not available. Already today, it’s estimated that 30% of the traffic in Manhattan is made up of cars looking for parking. Consider how that number would grow when there isn’t a need to park at all. Rather than pay expensive rates for parking, why not just set your car to an auto-roaming mode — maybe even picking up passengers while you work? 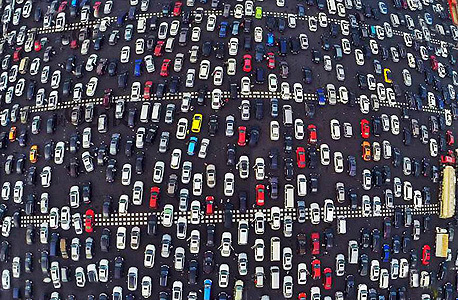 What happens when everyone who commuted into the city that day does that along with the city dwellers who want to avoid parking fees? AVs using the road for “parking” is arguably the best example of the concept of externalities. On one hand, the solution will be free (minus cost of charging or gas) to the owner. On the other hand, this will be very costly for society, reducing productivity by making it harder for everyone else to get to where they’re need to go. The average number of passengers per vehicle on the road today is 1.2. This could drop below one. With the increasing number of passengers coming into the city due to urbanization and an increased commute radius, we may be facing a future that makes today’s congestion look like child’s play. Today, the roads are free to use. At least for now. Not capped anymore by the number of drivers at their disposal, ride-sharing networks and automakers will escalate their land grab efforts and flood the streets with cars, all in an effort to increase market share and improve their user experience. Do you like that 5–8 minute wait time for an Uber? How about one minute or less? Who doesn’t want to get somewhere faster and at a lower price? Moreover, if those AV owners who commuted into the city do rent out their vehicles during the day, there will likely be no need for Uber or Lyft as more privately owned vehicles roam the streets desperately looking for passengers. Even providing one ride an hour will be more lucrative than parking that car for the day. 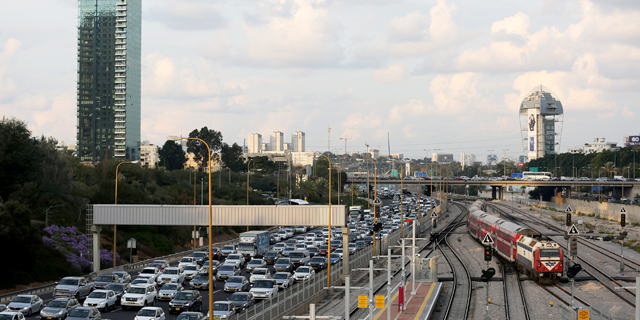 And there’ll be more than enough cheap rides to support intercity commuting and congestion. Over the last decade, deliveries have become a major part of our daily life, thanks to services like Amazon Prime, Google Express, Uber Eats, and many more. We have come to expect that we can get anything within two days. And many of us can easily get any number of housewares and meals delivered within in the same day or even an hour. As our expectations develop, we’ll likely get impatient with even a five minute timeframe. Ever get anxious waiting for that lunch to get to your desk, thinking about how the store is “just” across town? You can see where this is all going. Remove the constraint of recruiting and training drivers, and any consumer facing company will find it worthwhile to deploy autonomous delivery vehicles anywhere. The last mile will become the final frontier of the commerce wars. As consumers, this future may sound great, with instant gratification taken to the absolute max. However, as commuters, we may be less excited to discover our roads have been filled with slowly moving autonomous vending machines. Traffic is a result of millions of individual decisions. These decisions are highly influenced by traffic conditions. When congestion is too high, that’s a very effective regulation mechanism to encourage people to use the subway, bikes or to adjust their departure time. However, in the future, when corporations take a larger and larger part in traffic creation, their incentives to address congestion may no longer be in our collective favor. Amazon will not mind its vending truck is stuck in traffic. In fact, it might even be beneficial from an energy usage and recharging perspective. One way through which autonomy may alleviate congestion is through second order effects. For example, if the roads become extremely safe, many of us may opt to move to riding electric bikes or autonomous scooters, which would free up space allowing three lanes to function effectively as a ten-lane road. If can’t visualize this, just look to cities across Asia, like Hanoi or Ho Chi Minh City in Vietnam, where scooters and motorcycles are the prevailing mode of transportation. And again, other people may be incentivized to take the metro or work off-hours to avoid longer commute times. All of these impacts to congestion require us to look at traffic and our infrastructures more holistically. Municipalities will have to look at road use and possibly fees differently. Consumers will have to think about the impact of their car buying and lunch options. And corporates will likely have to pass on roaming or “active parking” costs from municipalities onto consumers. Eran Shir is the founder of Nexar, a startup company developing deep-learning and artificial intelligence-based technologies and data products for Municipalities, Automotive and Insurance industries.